Government Area of Anam­bra State. Okeke said that he was flogged, “arrest­ed” and dragged to the masquer­ade’s shrine in Otukwe village where the masquerade and his accomplices stripped him na­ked and tied him to their shrine, probably to use him for human sacrifice. He said that on the fateful day, he came out of his house where the masquerades accosted him and began to flog him and ig­nored all his pleas. Okeke said that he told them that he is the pastor with Deep­er Life Bible Church in the next village and that since he gave his life to Jesus Christ, he had re­nounced his membership of the masquerade cult as a born again Christian. According to the pastor, the flogging and beating did not stop as they dragged him to the shrine (Oda Mmanwu) where they re­moved his clothes, tore them into shreds and tied him naked in the shrine. Okeke said that when he saw them with machetes, he conclud­ed that the end had come for him and thanked God they changed their mind and locked the shrine leaving him naked and tied. The clergyman added that as the masquerade and his accom­plices were leaving they vowed to deal with him when they re­turned. He said that since he could not figure out what may happen when they came back he prayed and God intervened. Okeke said that the ropes they used to tie his hands sud­denly snapped and when he real­ised that his hands were freed, he used them to untie the ropes on his waist and legs and escaped. According to the pastor, he first called at the house of his sibling, a sister who is married to a man living in Ozubulu, a border town with Ihembosi. He said that he was later told that when the masquerade returned and discovered that he had es­caped, they were infuriated and stormed his residence where they went on rampage. His ordeal has been wide­ly condemned by groups and prominent people in the area. The President-General of Ihembosi People’s Assembly (IPA), Barr Chika Dumije, de­plored the action of the mas­querade and sued for peace. 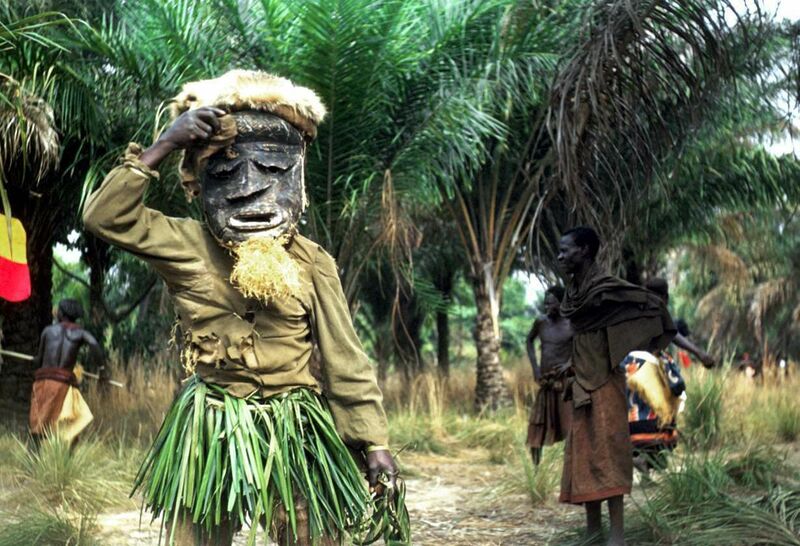 Also, the Ihembosi Born Again Christian Organisation (IBACO), an umbrella body for the Pentecostal/Evangelical churches in Ihembosi and the Scripture Union (SU) Nigeria has vowed to use the incident to put an end to the intimidation of its members by the masquerades. The Chairman of IBACO, Mr. Gab Ugwumba, said that the group had twice signed agreements with the Masquer­ade Council, but were violated. He said that since there is free­dom of worship, association and movement as enshrined in the Constitution of Nigeria, the masquerades should allow born-again Christians to worship God as they wish. 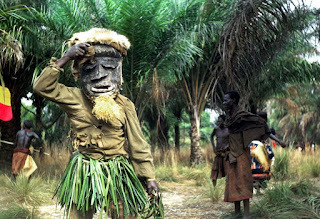 He appealed to the Anam­bra State government to call the masquerades to order and ensure that the fundamental rights and dignity of the human person are respected. An IBACO official said that certain government officials, an ex-minister in the First Repub­lic and a Roman Catholic priest were behind the recent revival of the masquerade cult in An­ambra.